WAUSAU – A nonprofit organization that provides a workshop and job placement for people with disabilities will eliminate the facility-based part of its operation in Wausau. 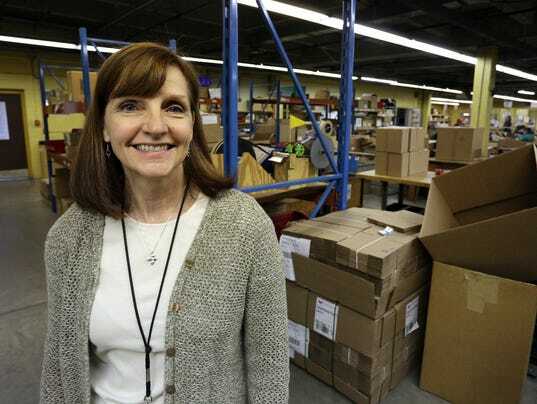 "We're changing our pre-vocational program from a facility-based training program to a community-based training program and focusing on community job placement through supported and integrated employment," Northern Valley Executive Director Terri Kischel said. Supported employment is an approach of helping people with disabilities participate in the competitive labor market, helping them find meaningful jobs and providing ongoing support from a team of professionals. The reason for the change is philosophical, not financial, Kischel said. "We have a group of individuals who have tremendous abilities and skills, and having been a provider of supported and integrated employment, we recognize that in them are the abilities to have success in the community, which has been the objective of our work as a pre-vocational provider," she said. The transition already has begun at Northern Valley, Kischel said. In October, the organization hosted a job fair-type "supported employment day" and intends to hold another one in January. She said Northern Valley also started implementing "work experiences" for some consumers, having them do short-term, paid work at employers in the community. Kischel said she recognizes the switch will be a "big change" for some clients, whose range of disabilities varies. "I think that it is going to be a difficult transition for them because they're facing a decision that they maybe thought they wouldn't have to make, which is, 'What do I do next?'" — Bob Dohr writes for Daily Herald Media, Wausau. What was the Board vote to close it? What is the reaction of the local folks??? Legal Action?? It is possible that since the Workshop is a community asset that the current board can not dissolve it??? I don't know Thomas. But this isn't good news. And Disability Wisconsin trumpets it as a great thing. If you read about them, they are governor appointed but not government funded. They certainly don't represent everyone on the spectrum. Disability Rights Wisconsin posted it on their Facebook page. I liked their page, and the Survival Coalition so I get the news.It is unclear what the Survival Coalition is about, or where they get their funding. I'm not sure who sets the agenda for these quasi governmental organizations. They have "listening" sessions. But the point of view they present is not inclusive.